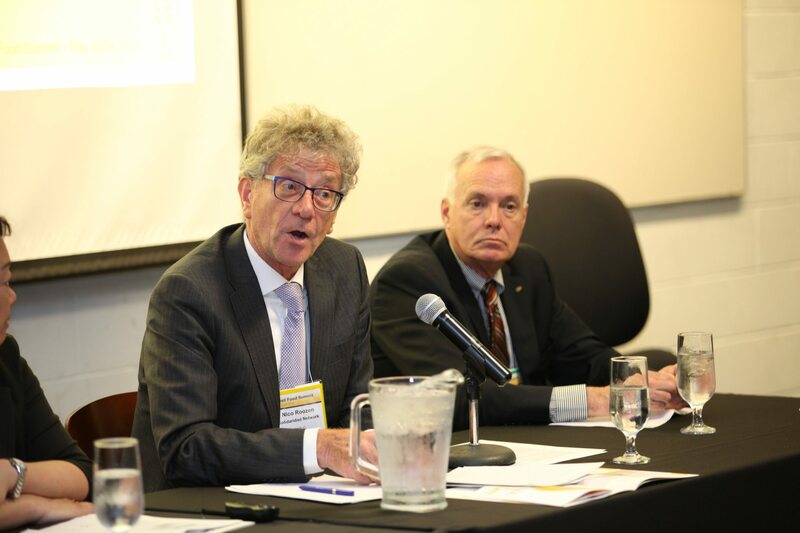 Nico Roozen, speaking at the Arrell Food Summit, is the executive director of Solidaridad, a civil society organization aimed at promoting social responsibility in commodity supply chains, such as cotton, tea, sugarcane, gold, cocoa, coffee and so on. The general principle of fair trade is that prices have to say the truth of real costs. The three rallying values are fair prices (and premium pricing) for farmers, access to investment capital to encourage entrepreneurism and balanced supply chains that connect producers directly with consumers. He’s disappointed that the fair trade movement has decided on the price issue and feels that the systemic issues are not addressed anymore. Roozen’s personal conclusion, after decades of fair trade work, is that consumers are not the driving force behind the sustainability agenda.